The focus of today’s blog is ‘off the shelf’ products, and what they can mean for your health. By ‘off the shelf’ products, I am talking about those products you can walk into any health food store, chemist or supermarket, and grab right off the shelf. You don’t need to talk to a naturopath or nutritionist, you don’t need a prescription, you can just buy them as you please. I occasionally work at Flannerys in Robina on the Gold Coast, and I am very proud to say that this health food store ONLY stocks exceptionally high quality products. It also staffs fully qualified and ensured naturopaths and nutritionists, guaranteeing that customers are given only top quality advice. Having worked in this environment since I graduated, I find I often need to educate some customers about the difference between off the shelf products, and naturopathic only products. 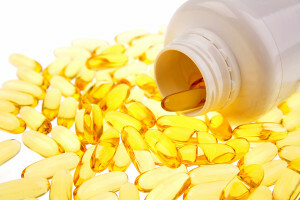 I often shudder when I pass the huge bins of cheap fish oil or glucosamine out the front of pharmacies. As a society we seem to be programmed to find a bargain. Why would you want 120 capsules of fish oil for $45.00 when you can buy 300 capsules for $9.95? It’s all the same, right? Absolutely not! I don’t want to just pick on fish oil here, but it seems to be the most popular in this category. When you buy your 300 cheap fish oil capsules, you can guarantee a few things. This is turning into quite a big blog, so I will continue with part 2 tomorrow! Previous post: Change Your Diet, Change Your Life!